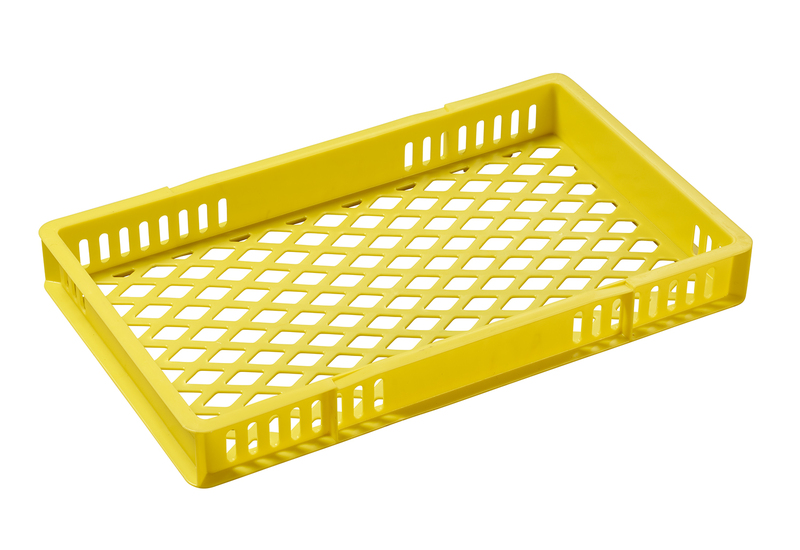 Supertuff Europe supplies a range of plastic confectionery trays, plastic bakery trays and plastic bread baskets, all available from stock. 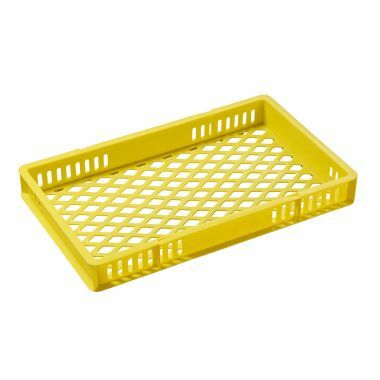 Confectionery trays make ideal stacking trays for food handling, you can choose from a selection of colour coded plastic trays and durable distribution baskets for bakery and confectionery products. 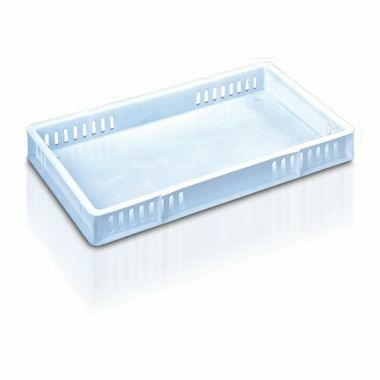 Manufactured from food grade polypropylene these bakery trays and bread crates offer food factories, bakeries, delicatessens and butchers throughout the food manufacturing, food processing and meat processing industries an ideal, hygienic food ingredient storage and food produce storage and handling solution. 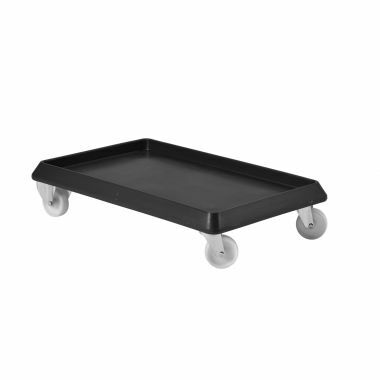 Our range of confectionery trays are commonly referred to as bread trays, bakery trays or even pizza dough trays. Commonly used throughout food processing and bakery applications for storage and distribution of bakery products, sweets and confectionery products the food approved plastic containers are all manufactured from food grade material. 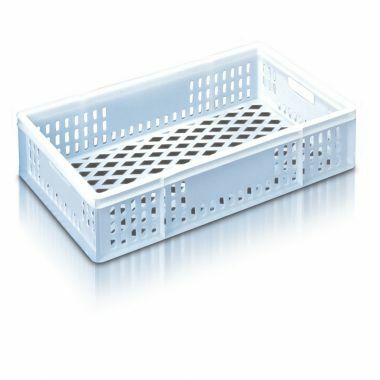 Ideal for food contact environments such as food factories and bakeries the confectionery trays, bread baskets and bakery trays offer a durable means for handling raw food ingredients as well as breads and confectioneries during production and for distribution. Often used for point of sale display of pies, pastries, cakes, savoury goods and baked morning goods our confectionery trays are also a popular plastic tray for the meat and fish processing industries where they are used as meat trays and fish trays. 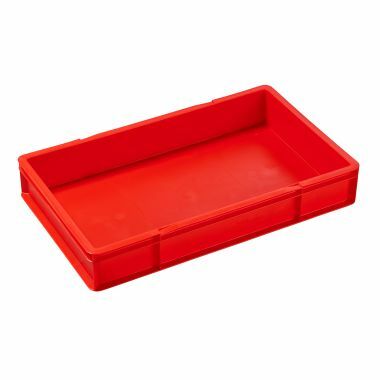 Our food grade plastic confectionery trays are available in a variety of different sizes and colours from stock. The colour coded food trays can be supplied in 3 different depths but all exhibit the same identical footprint enabling them to inter-work with one another. 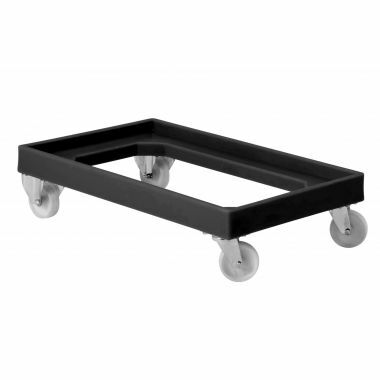 Able to stack on top of each other regardless of the model or format these confectionery trays are perfect for when space is at a premium. Harnessing a cross stacking feature the range of bakery trays is ideal for bakeries and food manufacturing environments alike, providing an effective storage structure that also helps to speed up the cooling of products. Each of the 3 different depths of colour coded confectionery tray is also available in a solid or perforated format, offering effective airflow attributes. Easily cleaned and hygienic, the confectionery tray range is available in white, red, yellow and blue to assist with colour coding and product separation. 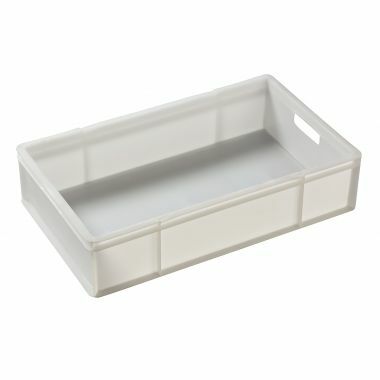 Bread baskets and bread trays offer an ideal means for storage and distribution of baked goods. 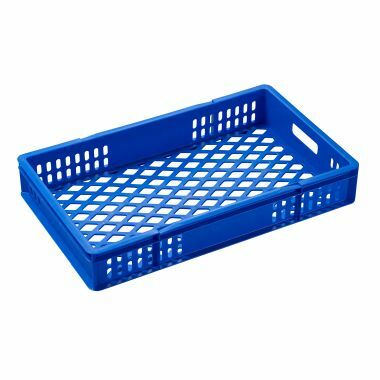 Manufactured from food grade polypropylene our bread crates are used throughout the food industry within bakeries and food factories. Choose from a selection of different sized durable bread baskets designed to stack on top of one another to save on space. 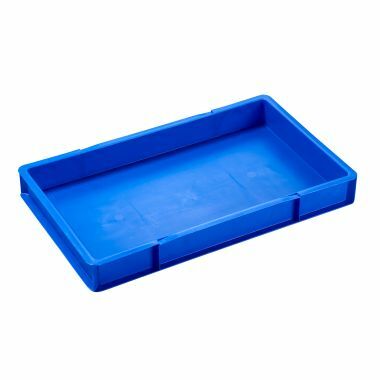 With ample stock available and plastic dollies (skates) available to suit our range of colour coded confectionery trays and bakery trays you are sure to find exactly what you require.